The last time private prisons were in vogue in the US, the Civil War had just ended and the South was amok with wandering, defeated Confederates and wandering, emancipated Blacks. The nation south of the Mason-Dixon was in shambles and the Union’s strongest presence came in the form of carpetbaggers and President Grant’s drunken incompetence. 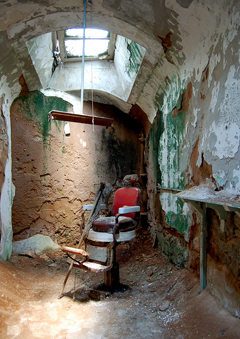 Private jails flourished for awhile in this chaotic atmosphere, but were soon outlawed in the moral crusades that followed the Civil War era due to widespread abuse of prisoners and general skimping on food, shelter and clothing. Now, in the 21st century, private prisons are back. In the 1980s, several private corporations specializing in “correctional facilities” began taking prison management off the hands of overworked and understaffed federal and state agencies. Since then, those companies have grown into massive operations. They’re in almost every state in the Union and their complete takeover of the “correctional market” is predicted to happen in the next five years. The largest, Corrections Corporation of America, boasts 82,000 beds in 66 facilities, in 19 states and Washington, DC. The corporation has grown by leaps and bounds since its inception in 1983, with stock going from $8 to $30 per share by 2000; it now stands at just over $17. The crime wave of the early 1990s, ensuing “three strikes” legislation, and the War on Drugs have made private prisons a profitable business. All of the major investment banks, including Goldman Sachs and Co., Merrill Lynch, and Smith Barney, have a stake in private prisons. Today’s economic crisis has hit all sectors of the economy, but with joblessness on the rise and incomes plummeting, expect to see the stock prices of firms like CCA, the Geo Group and other fine institutions continue to rise. Several factors have led to the increase in private prisons, but first and foremost is the incredible number of prisoners currently in American jails. No nation on earth has more incarcerated citizens than the US. Even China, with a population almost five times that of the US and a well-documented history of gulag prisons and human rights abuses, cannot match the US in terms of numbers. Right now there are more than 2 million prisoners in the US. That is roughly 740 per 100,000 citizens. 740 in every 100,000 Americans are imprisoned. 1 in every 100 Americans is in jail or on probation. The US has 5% of the population and 25% of the incarcerated population in the world. China has a documented (sentenced) prison population of 111 per 100,000 – according to some human rights activists, this number is ridiculous and should be ratcheted up to 740 per 100,000 to reflect roughly 10 million people in prison in China. 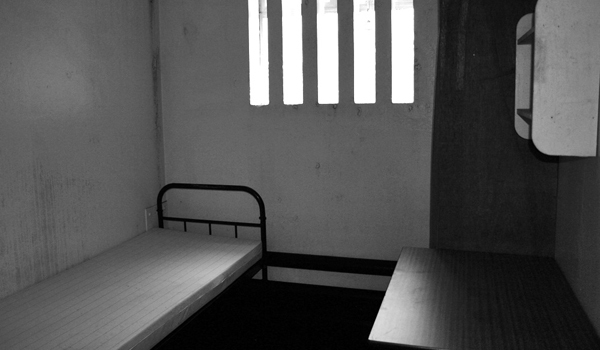 England and Wales have roughly 139 per 100,000 people in jail. The Bureau of Justice recorded an increase in spending from $9 billion for corrections in 1982 to $65 billion in 2005. Taking police and judicial expenditures into account, the numbers are insane: just over $35 billion in 1982 and just under $200 billion in 2005. A similar trend can be seen in the rising costs at the different governmental levels. Into this morass of incompetence, greed, racism, and disenfranchisement steps the private sector. A privately-run prison system has absolutely no incentive to reduce the rate of incarceration in the US; in fact, the only reason a private sector even exists is due to the quadrupling of prisoners since 1980. 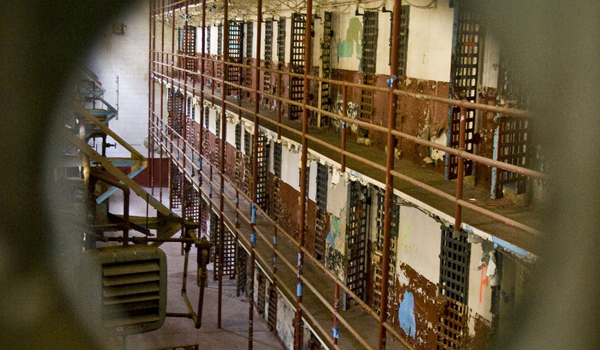 It’s not just facilities management: weapons contractors, telecom providers and financiers underwriting prison construction are all getting into the booming business of lockdown. The prison industrial complex is a deep and malignant problem within US society. The upper class has the wherewithal to profit from the incarceration of the lower class, while the middle class supports any and all initiatives to increase funding for prisons, police, and correctional facilities because they are afraid of what might happen if convicted criminals are released early. Americans have no sympathy for repeat offenders, and there is an underlying, fearful racism in our society that surfaces whenever a young, Black man walks down the street in a hoodie bumping his music, or a tattooed Latino rolls by in his pimp-ride, or when a big, bald white man sneers from his 350 hpw hog. These are the images that keep the prison system as it is and keep middle class families furious at criminals and the liberal institutions and politicians who seek to reform the system. Why are all these people breaking laws? 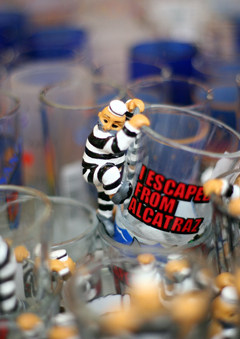 Why do we have the highest incarceration rate in the world? Why aren’t any of these criminals learning their lesson and becoming productive members of society? The answers to these questions lead down a complicated road. Hardliners advocate throwing away the key. The soft-hearted call for rehab. Are the causes due to a culture of profit and greed? Are we just a sick and demented society? Are Americans so focused on saving Tibet and Sudan and Chinese political dissidents and the tiny, tiny population of East Timor that saving your local hoodlum from a life of imprisonment just isn’t cool anymore?